This one-pager outlines rational vs. irrational numbers for the student-centered, self-directed classroom. There are a few practice problems at the beginning. 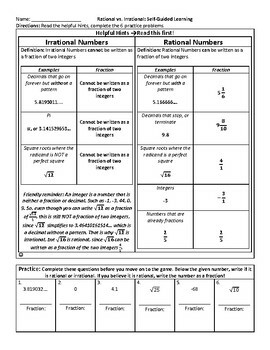 I use this as an introduction to rational vs. irrational numbers, as well as a keep sheet throughout the unit.